Church finances are a regular source of stress. As a pastor or church leader, you’re the one bearing the brunt of this load. 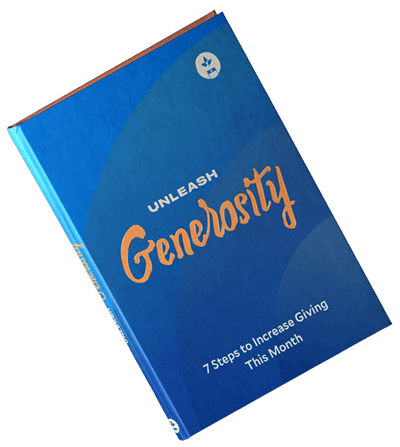 The unexpected expenses, mounting bills, or a decrease in giving is enough to make you feel like you’re carrying a 20-pound weight on your chest. You can’t ignore your church’s financial stress for too long. Significant financial stress isn’t something you can sweep under the rug. Sooner or later, you’ll trip over it and fall flat on your face with a church financial problem you can’t resolve or a health problem. You have to face your church's financial stress head-on. To help you stop worrying, here are five ways you can take control, and find a solution to your problem. Do you feel overwhelmed by your church’s finances? Are you the only person responsible for your church’s money? If the answer to this question is “no,” feel free to move on to the next tip. However, if your answer to this question is “yes,” then hang tight. We need to talk. As a pastor, you wear many hats. From hospital visitations and counseling to cleaning and preaching, at some point, you’ll do everything that needs to be done. And this is okay. Servant leadership is a hallmark of being a pastor. You’re not called to do everything, every day. In other words, if you’re assuming sole responsibility as your church’s treasurer, it’s time to share the load. Depending on the size of your church, you may need to lean to the help of a volunteer to manage your church’s books. If you’re unable to hire part- or full-time assistance, consider outsourcing your accounting needs. If your church has a financial problem, it’s your church’s financial problem—not your’s alone. If your church’s financial situation is causing your stress, it’s best to walk in the light, be open with your leadership, and share the good, bad, and ugly news with your church. 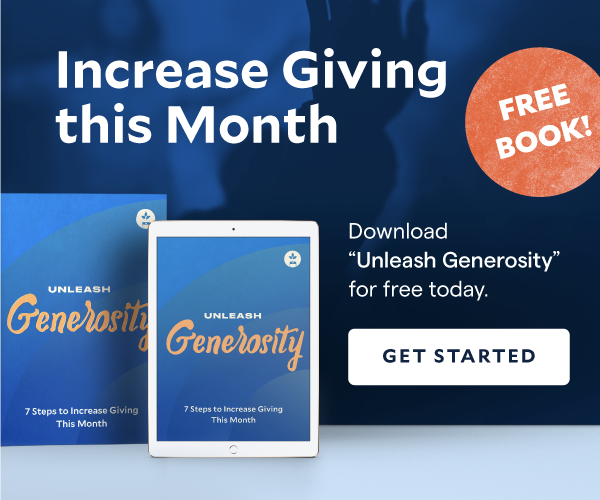 By being open with your church’s financial situation, you’ll be able to share the burden with the other members of your church, which can be a huge relief as you figure out how to fix your situation. Stress has a way of making things appear bleak. There may be a few things causing you to worry about your church’s finances, but the stress you feel can lead you to believe that your situation is hopeless. To help you redeem your financial situation and overcome the stress you’re feeling, take time to clarify exactly what’s causing your anxiety. What are the 1-3 most significant sources of financial stress you’re facing in your church? If you identify more than three sources, prioritize which ones you need to address first. In the short-term, focusing on more than three problems to solve may increase your stress—not reduce it. Do you know what’s causing you stress? Let’s move on to the next task. What sources of stress can you change? Are there specific and realistic steps you can take to solve the problem? Before you start significantly reducing expenses, it’s best to invite your church’s leadership into this process. With their support, work through your church’s current budget, income, and expenses. This process may be something you can accomplish together, or, if you serve in a larger church, consider inviting your staff into the mix to help you think through ways your church can save money. In the life of your church, there will be times when you and your leadership will need outside help to overcome a problem. Overcoming problems, in particular, financial issues, can be difficult when done alone. By leaning on the help of an expert outside of your church, you’ll be able to tap into a different perspective, find encouragement, and perhaps a new approach to solving your problem. If you’re looking for outside help, we recommend contacting our friends at Generis. Their team possesses a wealth of experience, and they can provide the seasoned support your church needs to overcome your situation. In the end, keep your eyes on Jesus. Stress of any kind has an uncanny ability to lead you to become distracted by what you see—not in who you believe. Regardless of the financial situation of your church, fight for faith in Christ. Seek comfort and counsel from your Christian community. Throughout this process, the Lord will guide your steps, lead your church, and give you his peace. Still not sure what step you need to take next? There are people inside and outside of your church who are able to help you. Pick up the phone, and reach out to someone. You’ll be thankful you did.